SOLD $232,100 Online Estate Auction! 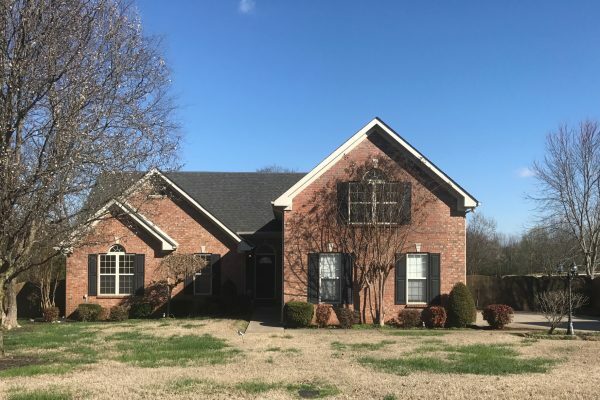 3 BR, 2 BA Brick Home | Middle Tennessee Real Estate :: Maples Realty & Auction Co. This is a nice 3 BR, 2 BA Brick Home located in a well established neighborhood on a quiet cul-de-sac. This home features a 2 car side entry garage, with a large bonus room, fenced backyard, and covered deck. The house has been freshly painted throughout. Conveniently located to I-24, schools, shopping, and dining! Directions: Old Fort Parkway turn left on Cason Lane, left on Wellington, left on Coventry, left on Burgess, property on right.